Creative Build and Interior Design is a full service home renovation and new construction entity. Our focused team provides architectural/ space planning based on your budget, a skilled group of contractors, and award winning Interior Design. Exceptional individualized service to clients that will create one seamless process and a stress free customer experience. Our mission is to bridge the gap when the Architect, Contractor, and Interior Designer are all working together to create a beautiful and functional space. We are happy to provide a free consultation with our team to discuss your renovation or custom home project, big or small. Interiors by Monique has a team of highly qualified craftsmen, artisans and workrooms that bring their knowledge, talent, and dedication to our home decorating projects. We have been working with them for more than 25 years. As a full service design firm, we educate clients about what their space can become; coordinating the team working on the project and staying on top of all the details. We strive to make the process enjoyable and stress-free. We collaborate with our clients to create interiors that reflect their personalities and tastes, not ours. We personalize their homes using sentimental pieces while satisfying the principles and elements of interior design. Even a small design project can transform your home to make it more functional, attractive, and inviting: a place where you will be proud to have friends and family enjoy your new space. Featured in Builder & Architect Magazine, Daniel H. Houde Design is a full service Interior Design and Home Staging Presentation Company based in Southborough MA, but services all of Metro West and Boston. The company prides themselves in providing flexible styles that would appeal to anyone's needs. Our projects range from a simple space planning to an entire home renovation including Kitchen and Bath Designs. Dan prides himself on his attention to detail, expert project and budget management, and customer service skills. It is his goal to work closely with clients to create living spaces that truly reflect their individual tastes and preferences. We work closely with Builders and Realtors to create a Home Staging Presentation that will sell homes quickly and in most cases with a higher offer. We have a 15,000 sq ft of warehouse space based in Southborough with 3 million dollars in inventory. We customize every Staging Presentation to maxmize the appeal of each home. We also manage Staging Presentations in homes that need assistance with the prepping of the home before it goes to market. Boston Area's Interior Designer Best of Houzz 2014, 2015 & 2016! My primary goal is to a create a space that you will love to live in. We will collaborate to ensure that the end result is the best representation of you. When I moved into my first Boston apartment I was moving in with two other 20 somethings. I loved the structure of this older brownstone but something was missing. I asked my new roommates if I could move a few things around. Within no time we were living in our dream apartment and my passion was unleashed with this transformation. Since that time I have been working with my clients to discover their inner style. From new homes to remodels to just the right touch to breath new life into a space. Katie Rosenfeld a full service Interior Designer known for her fresh, eclectic and colorful approach. Interior Designer, Nikki Dalrymple, is known for artfully arranging vintage influences with contemporary design. She loves big scale and frank color; organic materials and textures; and contemporary art mixed with antique furniture and found objects. Among having her work featured both locally and nationally, Nikki was named by Boston Home Magazine as one of "The Hot 50: The Next Generation of Design Stars Shaping the City". Design capabilities range from commercial spaces to various residential projects, including lofts, brownstones, and single family homes in and around the greater Boston area. Greater Boston Full Service Interior Design Firm - Best of Houzz 2017! LME Designs is a full service interior design firm that has worked with clients throughout New England since 2003. The founder, Linn Michelet-Epstein brings an experienced, sophisticated eye to every project. She merges timeless classics with contemporary elements and her Scandinavian background is reflected in the clean lines of her designs. LME Designs work with a team of Master craftsmen, contractors and suppliers to ensure that each project receives the attention and expertise needed to translate the clients vision into a beautiful and functional reality. Awarded 2019 Best of Houzz for service! Marylou Fraser Interiors is a full service design studio, offering high end custom interior design. Creating wonderful, livable, timeless spaces. Collaborating with my clients to tailor their homes by catering to their specific needs, dreams and desires. Homes that are inspiring, comforting and rejuvenating! I believe that the design process is not just about the finished product but the total experience should be enjoyable. My clients have my full attention. So much thought and care goes into every detail. Orchestrating fabrics, colors, furniture, fixtures and accessories and collaborating with highly skilled artisans. Providing floor plans, furniture and lighting layouts. "Designing your home to exceed your expectations is my ultimate goal" I am privileged to be a part of designing the homes of so many lovely people, treasuring the many professional relationships that have lasted decades. Schedule an in home consultation today. Let's create the home you've always wanted! At Casabella Interiors, home is the most important place in the world. So whether you’re visiting our shop to become inspired or engaging our design studio for our sophisticated East Coast aesthetic, we’re as passionate about dreaming up ideas and making them happen as we are about placing our favorite decorating possibilities at your fingertips. Our store is designed so you can look and feel your way through it ––and discover unexpected, yet perfect finishing touches for every room along the way. It’s filled with impossible to find furniture, accessories, lighting, rugs, fabrics, drapery, art, and more, sourced from vendors around the world. Each of our found objects has a story, and they are all curated and handpicked by founder and principal designer Michele Chagnon-Holbrook. Blending classic elegance with modern comfort, our award-winning design team creates rich, layered interiors using subtle textures and muted hues. From concepts to installation, the design studio specializes in entire houses, individual rooms, and commercial spaces. As the go-to destination for all your big and small design projects, we offer as much (or as little) help as you need creating luxurious, well-loved living spaces. Full Service Interior Design From new construction to individual room design, we offer comprehensive design services for residential spaces of all shapes and sizes. The design process includes an initial (free) consultation, space planning, budgeting, project management, selection of furniture (both new and vintage) lighting, accessories, artwork, window treatments, and paint and wallpaper selection. Consultations Are you design savvy, but need help with the layout of your space, selecting paint colors or accessory shopping? Consultations are available on an hourly basis. E-Design Are we miles apart? Not a problem, we offer our E-Design services from miles away. After reviewing existing photos of your space, detailed measurements, photo inspirations for your future space, and your completed questionnaire, we can begin to design your space. For more information email Jamiekeskin@gmail.com. A good home design professional will hone your style down to its very essence and be able to choose a functional layout that feels natural to you. Interior design companies can be involved as much or as little as the client desires. Many clients who hire an interior decorator in Wellesley, MA — particularly those who are remodeling — have a good sense of how the room should look and what products they should use. Often clients will insist that interior decorators use the products already present in the house. Other times a designer will need to start from scratch — especially if this is a newly purchased or just-built home. An interior design company will need to figure out exactly what the client needs, which includes organizing rooms, picking flooring and wall colors, and finding furniture to complement it all. Sometimes that means he or she will have to recruit help from other Wellesley, MA home professionals to help create the perfect look for your renovation. Here are some related professionals and vendors to complement the work of interior designers & decorators: Architects & Building Designers, General Contractors, Home Builders, Design-Build Firms, Photographers. Do your research before meeting with an interior designer or home decorator in Wellesley, MA. Ask yourself what you want your space to become and what it will be used for. Figure out the extent of what you need help with, what your must-haves are and what your budget is. Interior design services can add up fast, so be up front with a potential design firm or individual from the beginning. Also, pick an interior decorator that fits your style. Browse through the portfolios of different Wellesley interior design firms and decide if you would live in those houses. Just because you like something doesn’t mean you could live in it. There's a big difference! Find an interior designer or home decorator in Wellesley, MA on Houzz. Narrow your search in the Professionals section to find Wellesley interior designers near you. 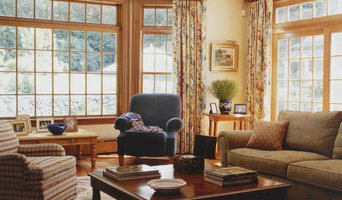 You can also look through Wellesley, MA photos to find a room you like, then contact the design firm who designed it.